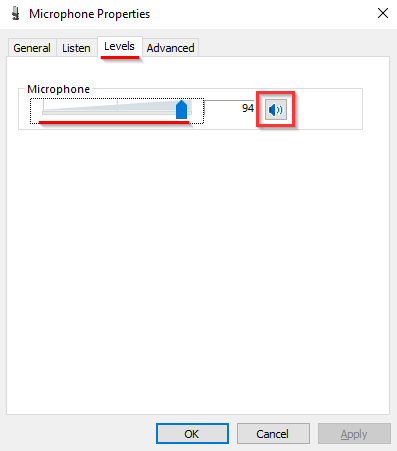 Before proceeding with troubleshooting, please make sure you have set up your audio as shown in this guide. 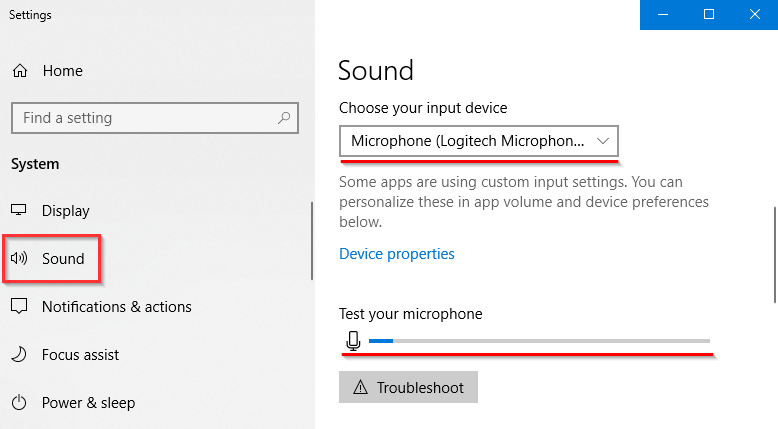 Go to Windows audio settings. Make sure your microphone is selected as an input device as shown below. Then start speaking into your microphone and check if the volume meter under “Test your microphone” responds. Click on the Device properties and navigate to the Levels tab. Make sure the volume is set to high and the sound icon is not muted. In case it is, left-click on it to unmute. Click on the Device properties and navigate to the Levels tab. Make sure the volume is set high enough and the sound icon is not muted. In case it is, left-click on it to unmute.